Held in July/ August on Friday evenings. The teams consist of three mixed doubles pairings. Held late August/ September/October on Sunday mornings for men and the ladies play on Sunday afternoons. Teams consist of three doubles pairings. 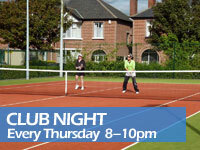 Held throughout October and November on Tuesday and Wednesday nights. Teams consist of four players:two singles and one doubles. Draw on the night decides who plays singles and who plays doubles. Runs from mid September to early November. Consists of three doubles pairings.Seperate boys and girls teams. 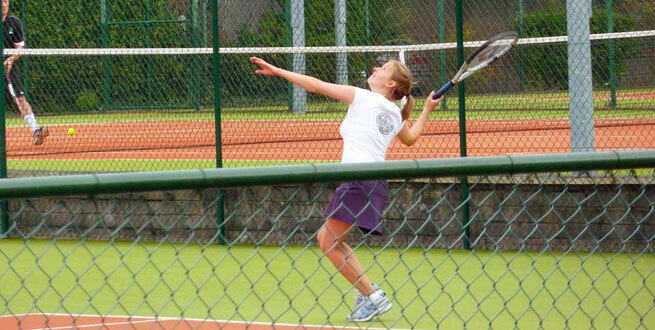 The mens matches are usually held on Saturday mornings and the ladies on Sunday afternoons. Teams consist of three pairs of doubles.